We all read it and then commented on it. We had Miss Z leave our class, so it was only the two guys and me, but we all talked about Miss I’s script. They liked it, but we all felt that we needed more action on it. That got us talking about conflict, once more. I decided to show them an episode of Powerpuff girls, so that Miss I could see how a super hero story developed. What she was missing in hers was giving her heroine and her squeeze super powers, and then using them in order to vanquish the villains. She had chosen to solve the problem in a very easy and action-free way, thus hurting her story. After seeing the episode of the Powerpuff girls, they all analyzed what made it fun and exciting. It was all about the three girls experimenting with their powers — a sort of super hero stand-off. 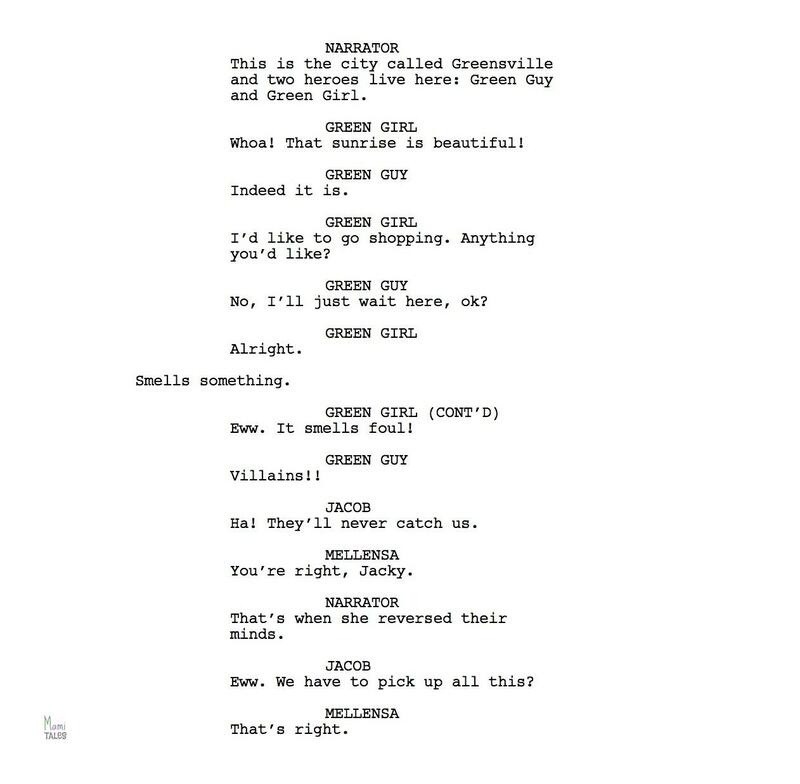 As Miss I had chosen to do things in her script that could not be seen (like the trigger with the villains being smell, and the resolution being a mind-reversing trick), we had to find ways to make her story visual. If I had a super power it would be having super strength. I would have super strength so I can punch the bad guys (really hard). I would punch the bad guys out of town. Total: Knock out. If I had a super power it would be Ice power, because I could save wild fires and I could keep cold on super hot days. If I had a super power it would be a super ninja power, because I could be sneaky. This got their creative juices flowing. We next talked about Mr. JS’s story, which is about three animal friends who want to play football, but the field is all muddied up. He will be bringing the version with dialogues next class, so we can work on his. Mr. J was still stuck with the idea of doing two groups trying to decide what to play. As he couldn’t come up with a concrete conflict and a resolution, we acted out a possible scenario. Miss I said she wanted to play something, Mr. JS wanted to play something else. Mr. J wanted to play yet another thing. Mr. J couldn’t make them come to an agreement. In the end, he realized that his idea was too open ended and a lot harder of a conflict than he anticipated… so he said he was going to take his story on the super power to do something from there. Next class he will be bringing dialogue too. In the end, we revisited the idea of conflict and introduced the idea of visual writing — film is a visual media, and therefore you need to be able to SEE things. It will be very interesting seeing how their stories and scripts keep developing. 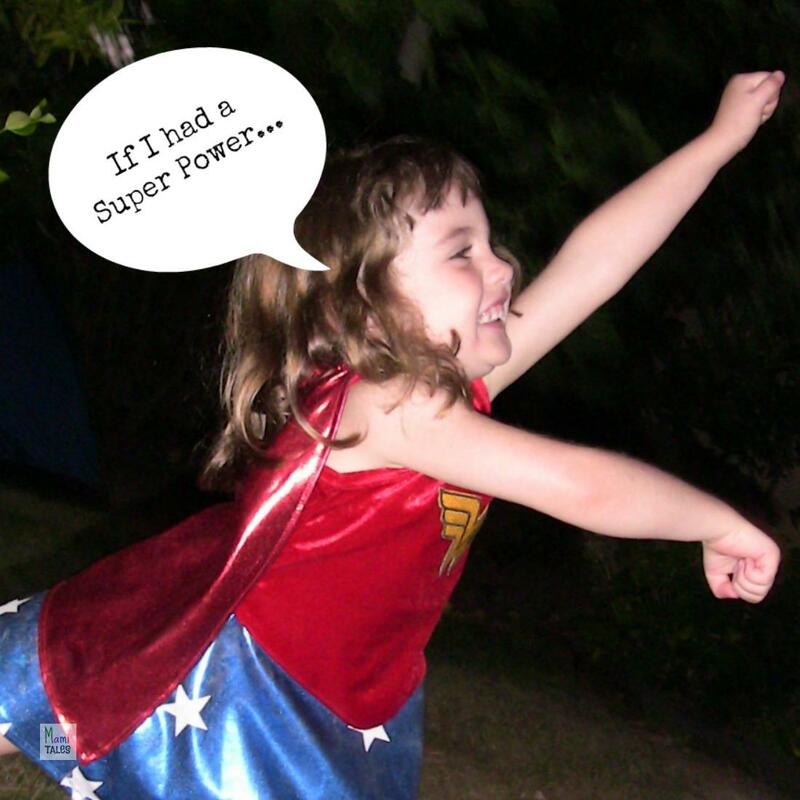 in the meantime, if you had a super power, what would it be and why? Tagged Funny, Inspiration for Kids, Movie Class. Whoa, this is VERY impressive. These are very creative kids! Well done, mama! Thanks, Jacqui! They are incredibly talented, and I do hope to be able to help them flesh out their ideas to have dome really awesome shorts at the end of the class! Thanks for stopping by! Thanks for stopping by, Julie! I’m continuing this class for the rest of the school year, every week. Glad you enjoyed it! Awesome exercise! I want to have all those super powers, too! Visiting from the Kid Lit Blog Hop :). Have a great week! Very creative and so much fun! Looking forward to what they come up with next.